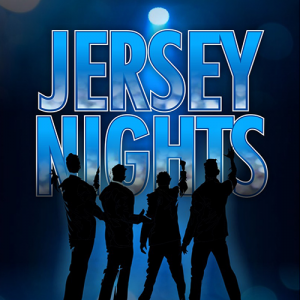 Jersey nights is an exciting, dynamic, and powerful ensemble that dazzles theatre audiences with their uniquely entertaining delivery while celebrating the legendary music of Frankie Valli and the four seasons. along with hits such as “Sherry”,” Let’s Hang On”, “Working My Way Back To You”, and “Walk Like A Man” that earned Frankie Valli and the four seasons their musical success, you’ll also hear other hit songs that helped shape that memorable and magical era of music. this high-energy group packs dance floors as they entertain with inclusive audience participation while creating memories that will last a lifetime. as one of Canada’s most accomplished and popular show bands, jersey nights is the essence of dynamic showmanship, hip choreography, high energy, great musicianship, costume changes, and vocal harmony that is second to none. the jersey nights lineup is four male front vocalists accompanied by a 4-piece band consisting of guitar, bass, multi-keyboards and drums.